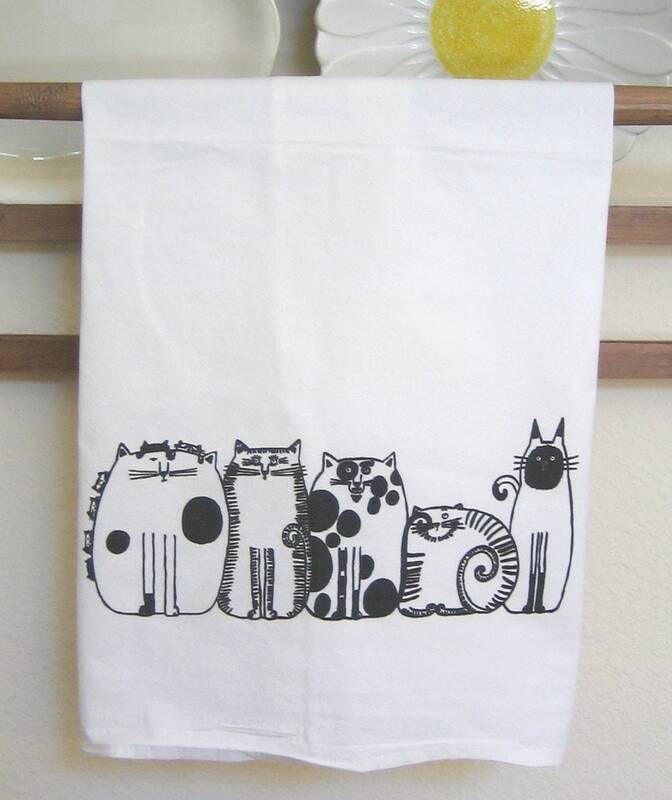 Five cat friends in a row printed on nice quality 100% Cotton, white Kitchen Towel. Towel is appx 30X30, design is center bottom edge, appx 11" across. 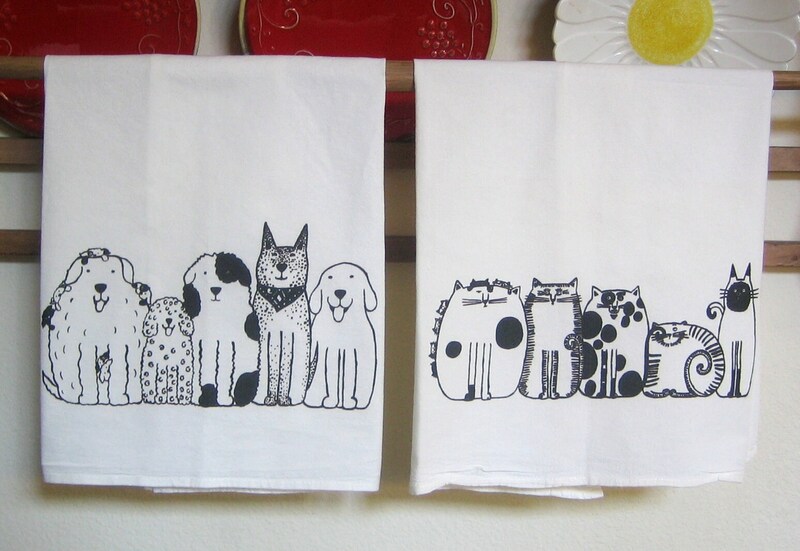 Please note, the design on the towel is like a picture and is not an overall design covering the entire towel. 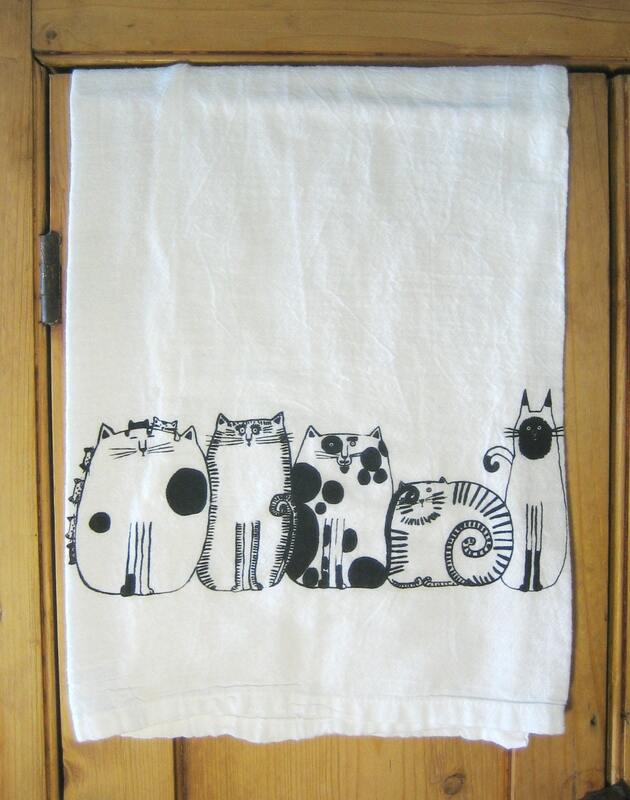 The towel is large because it is meant to be used, the design is meant to be shown when towel is folded over an oven handle or towel rack. Five Cats are about 11" long and about 6" high, center, bottom.